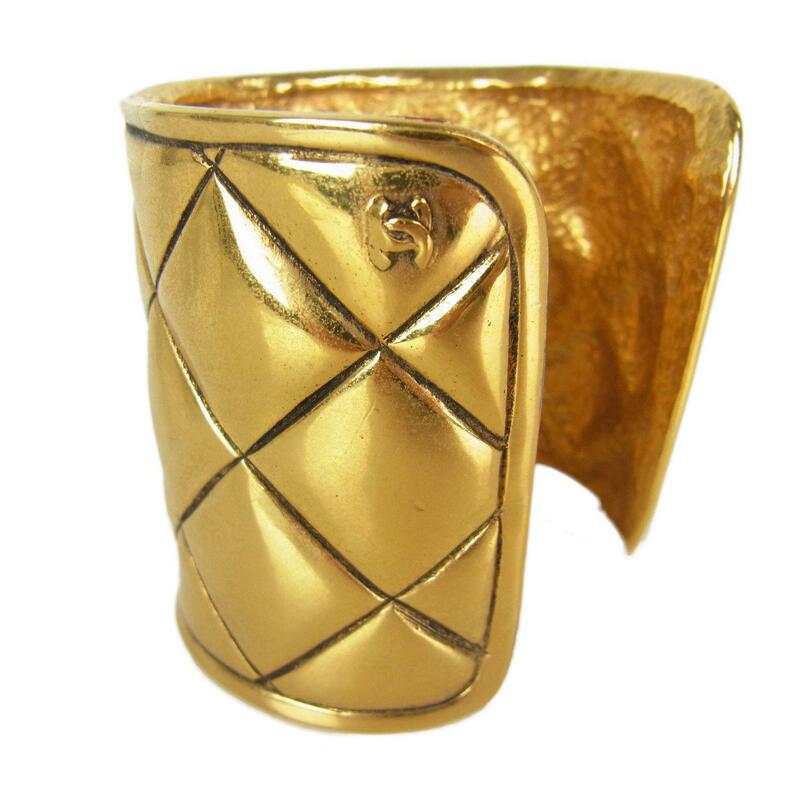 Authentic Chanel vintage CC Logos Matelasse gold-tone bangle/bracelet. Items has faded color and small cracks - Sold as is. Measures approx. 6.7L x 2.4W inches.